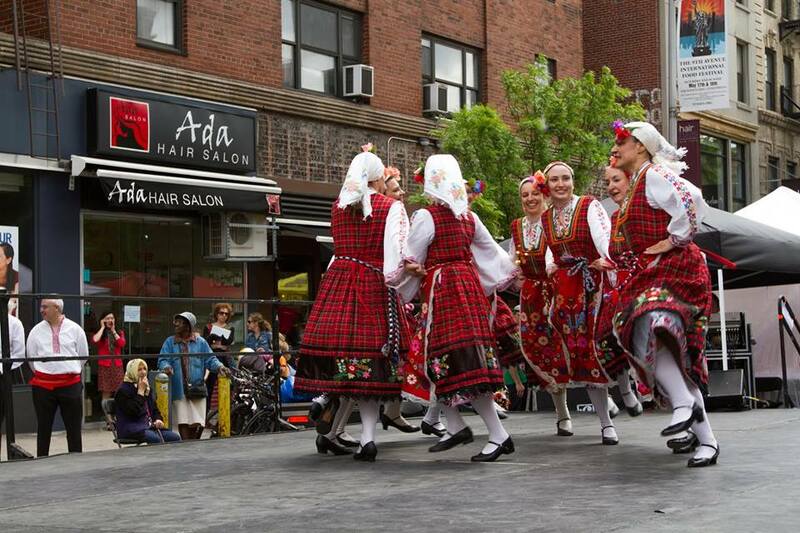 Come watch Bosilek’s annual performance at the Ninth Avenue International Food festival on Sunday, 05/17! Together with 101 Kaba Gaidi NYC we are scheduled to start at 12:30 PM to perform until 1:15 PM, including horos with the public. The stage is located between 54th-55th Sts. on 9th Ave. in Manhattan. Rain or shine, only heavy rain will cancel. We will probably go for drinks some place nearby afterwards. People should not plan to park in the immediate area. Ninth Ave. will be closed to auto traffic all the way between 57th and 42nd Streets.